MIAMI, Nov. 27, 2018 /PRNewswire/ -- QPS, a GLP/GCP-compliant contract research organization (CRO) supporting discovery, preclinical and clinical drug development, today announced the expansion of its U.S.-based Phase I clinical trial capabilities to support the growing needs of its pharmaceutical, biotechnology and CRO partners. To fill their drug pipelines, large pharmaceutical and biotechnology companies are buying promising drug compounds that have been developed by small biotech companies up to the point of candidate nomination. These promising compounds then become candidate drugs that the large companies put through rigorous testing and analysis before potentially being reviewed and assessed for approval by the FDA. 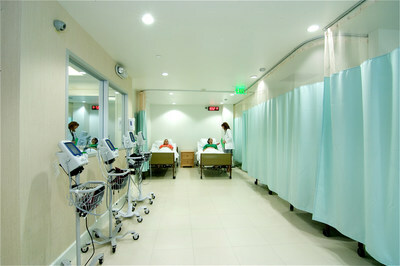 At QPS, we now we have the unique combination of clinical services and a specialized lab combined under one roof. At the Miami, FL site, Senior Manager of Laboratory Services Sonia I. Torres, BS, MT (ASCP) conducts quality control to assure proper processing is followed prior to reporting subject safety samples. QPS expands Phase I-IV Clinical Trial facilities in Miami, FL from 75 to 92 beds. At the Miami site, a research nurse practitioner assesses subject’s safety and well-being for proper documentation of any adverse events prior to starting study procedures. 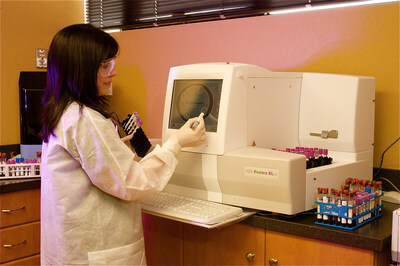 QPS is a global leader in contract research known for its quality, technical expertise, efficiency and customer focus. Since its inception, QPS has been assisting pharmaceutical, biotechnology and medical device companies, as well as CRO partners, with their drug development efforts by providing a full range of Neuropharmacology, DMPK, Toxicology, Bioanalysis, Translational Medicine, Early Stage Clinical and Phase II – IV Clinical Research services. For more information, visit www.qps.com.